OK, so what is a hotspot? A hotspot an interface that allows you to connect to a digital network directly without the need of an actual repeater. There are several variations of hotspots available. 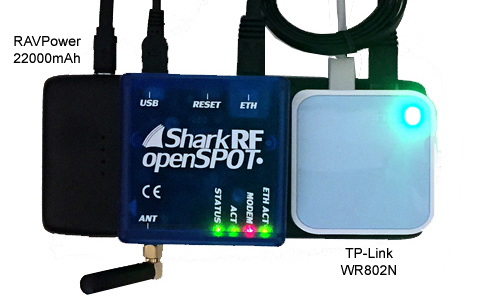 Some may require your PC or Raspberry Pi interface, but the SharkRF openSPOT is a small stand alone IP gateway that connects directly to your internet router via the Ethernet connection. No other equipment required. The openSPOT was developed by two hams that not only understand what hams want, need, and enjoy, but know how to make it work with minimal setup. With features not found in other hotspots, the bottom line is, they did it right. To start, the openSPOT is a very solidly built unit. Don’t let the size fool you. The chassis size is only 2.5 x 2.75 x 1.0″, but the weight is 5oz. This is due to the weighted base plate inside the enclosure to stabilize it when the cables are connected. There is no heat build up inside, which allows me to run mine 24/7. 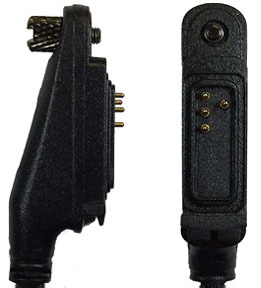 The antenna jack is a standard SMA-F, with the antenna terminating with an SMA-Male. Four small rubber feet assist in keeping the chassis stable. The openSPOT manual never goes out of date because it’s web based. The instructions and tutorials include both graphics and videos to guide you through the entire setup. As new features are added, the manual is updated online, so it’s never out of date. To set up the openSPOT, I connected it to the USB power source and my WiFi router using the supplied Ethernet cable. 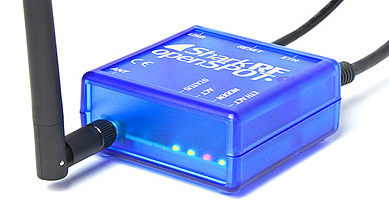 The openSPOT has two internal micro-controllers, designed to use a web based interface. Once connected to my WiFi router, the openSPOT was accessed by simply logging into //openspot.local. I didn’t need to load any additional software or drivers. Everything is self contained. Note: The openSPOT allows you to select two different frequencies if desired. After that, a 30 second calibration, and I was on the air. The LEDs give a clear status indication during operation. Once configured, time slot, trunk group, etc. information is controlled by your handheld. You set it, and forget it. 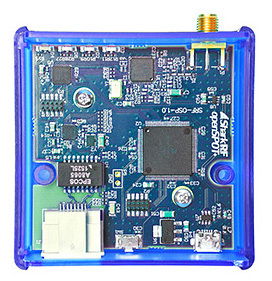 The openSPOT has cross mode capability, allowing a DMR transceiver to access C4FM, as well as C4FM access to DMR. This allows you to operate both modes with one handheld. I personally haven’t ventured into the cross mode operation, but understand it works perfectly. This is where the openSPOT excels. In the past few months, I have learned to identify some hotspots by their robotic audio, much like R2D2 and BB8. I can honestly say that I have never heard an openSPOT with less than perfect audio. My reports have been nothing short of excellent. I use mine on a daily basis, and have had absolutely no issues. The openSPOT firmware is totally upgradable. Periodically, SharkRF will post FW Beta versions on their site, however my personal preference is to wait until a final version is posted. I do, however, like to review what is included in the beta versions to get a glimpse into the future. The developers are constantly keeping up with network changes so you always have the latest version. Part of the FW upgrade procedure requires pressing the tiny reset switch on the back while plugging in the USB cable. To assist with this procedure I fabricated a reset button. It consists of a small Push Pin with the pin cut to approximately 1/8″ (3mm). I rounded the tip with a file to prevent damaging the internal switch. It makes pushing reset a one hand operation. The power level of the openSPOT variable up to a max of 20 mW. That may not sound like a lot of power, but 1 mW is enough for me to hear the signal solidly throughout my entire house. 20 mW on an outside antenna will allow you to use a digital radio throughout your neighborhood. Here’s where I became a bit creative. Rather than connecting directly to my router (downstairs), I wanted to see the lights flashing, so I purchased a TP-Link TL-WR802N and set it up as a client to access my in home WiFi. The openSPOT never missed a beat. Why the TP-Link? Well, it is just slightly smaller than the openSPOT, connects via an Ethernet connection, and fits nicely on top of my RAVPower 22000mAh battery. I linked the TP-Link to my Cellular WiFi hotspot and now, instant digital mobile. I also successfully tried a Vonets VAR11N-300 mini. The entire mobile hardware configuration is approximately 2 x 3 x 6.5″ (5.5 x 8 x 16.5cm), not counting a few cables sticking out. The entire configuration fits inside a pencil box. I also noted that the cellular data required is relatively small. Approximately 6MB per hour. Hotspots were not developed to replace repeaters, but rather to supplement them. 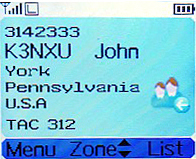 In areas where there is No repeater, a hotspot allows the user to connect directly to a digital network via the internet. In areas of Heavy repeater use, a hotspot allows the user to access the network without competing for an available time slot. If your local repeater gives you access to a network such as DMR-MARC, an openSPOT can give access to networks such as Brandmeister. You will now have access to the best of both worlds. DMR repeaters are being placed in service daily, but currently there are only around 800 repeaters in the US. As for me, I am 25 miles away from my two nearest repeaters and require an outside antenna to reliably use them (and I’m one of the lucky ones). In some areas of the country, digital repeaters don’t exist. The solution quickly became obvious. To enjoy the freedom of a handheld, I needed the help of a hotspot. After listening to several configurations over the past several months, I am convinced daily that I definitely made the right decision with an openSPOT, with everything I need condensed into one small package. The Connect Systems CS-580 is a feature packed band UHF DMR handheld with dual mode (FM) capability. Currently, there is only a UHF version, used for this evaluation. There is a VHF version also in the works, but will be a few month out from the time of this review. The CS-580 is US FCC Part 90 certified, so if you want to put it to use in commercial service, it’s ready to go. The CS-580 case has a solid feel and weight that fits my large hand perfectly. The backlit keypad buttons are large and require little pressure to make a positive contact. There are two programmable side buttons that can be assigned to any four available possibilities. Mine are set to Power, Zone, Scan, and Enhanced Monitor, but you have your choice of 28 options. The frequency range is UHF 400-480 MHz. 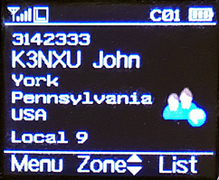 Along with Tier II DMR, the radio also supports both Wide and Narrowband FM. My OTA audio reports have been excellent, with absolutely not need to shout into the microphone. In fact, my best audio reports were talking in a normal voice approximately 2″ from the microphone. As for the transmitter power, it was right where it should be. 4.2 Watts on high power, and 1.1 on low. The receiver sensitivity is excellent, and the audio quality is loud, clear and undistorted. There is no squelch, but the Talk Permit indicator emits a soft tone that lets you know when the channel is clear. There are several receive mode options for both scanning and site monitoring that are extremely useful, especially if you are on the road. There are several very impressive enhanced receive options available with the CS-580. – Enhanced Monitor – Simply put, I enter the repeaters frequency and the radio monitors everything that comes across, regardless of Time Slot. If I hear a station I like, I press the Lock button, and I’m ready to transmit. 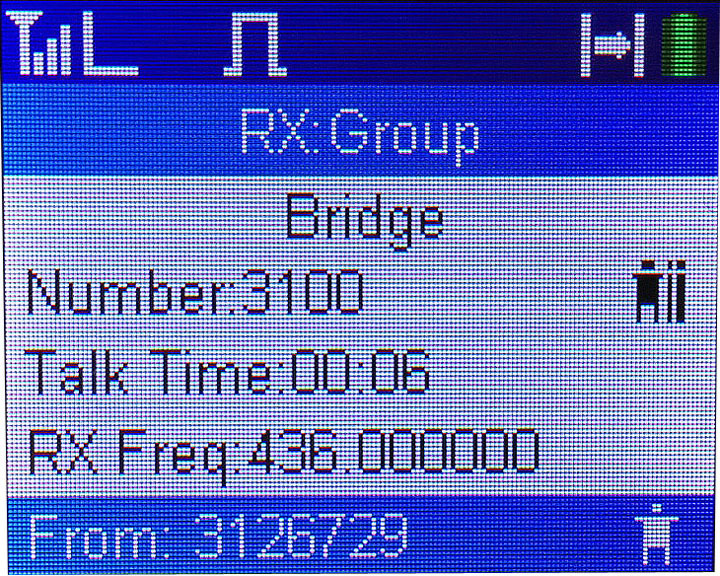 The DMR ID, CC, Slot, Type, Contact #, Tx and Rx frequencies are displayed on the LCD. – Group Receive – This function allows you to load up to 16 contacts into a single receive group. If any one of those channels becomes active, that’s what comes through the receiver. When transmitting, the pre-assigned transmit contact for that channel is the one selected. – Enhanced Scanning – This allows you to select a scanning range between 400-480MHz, repeater offset, and channel spacing. When a repeater signal is detected, the scanning stops, and there is an option to Lock onto the frequency. When keying the transmitter, the offset will automatically shift the frequency to the desired shift. – Standard Scanning – This is when you add channels to a scan group. If you are listening to a TG or channel that is part of the group and select Scan, the radio will now scan all other TG or channels within that group. – Enhanced Parameters – This is field programming made easy. 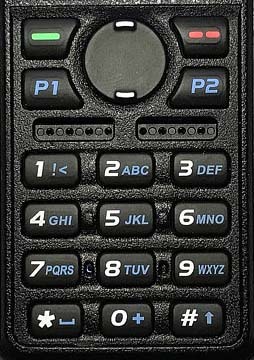 It allowed me to program everything via the keypad. In the DMR mode, I entered the CC, Slot, Type, Contact #, Tx Freq, and Rx Freq. A quick press of the Lock key, and I was on the air. In the FM mode, I entered the CTCSS Decode and Encode, Tx and Rx Freq. Once again, press the Lock key and it was on the air. If you are new to DMR, the first thing you will immediately notice is there are no noisy signals. If a signal has enough strength to be heard by the receiver, it is digitally processed where all noise is eliminated and what would be a noisy signal on FM now sounds as though the person is standing right next to you, with no robotic R2D2 sound found in some other digital modes. The supplied antenna is 5 3/4″ long and cut specifically for the UHF band and performs well. 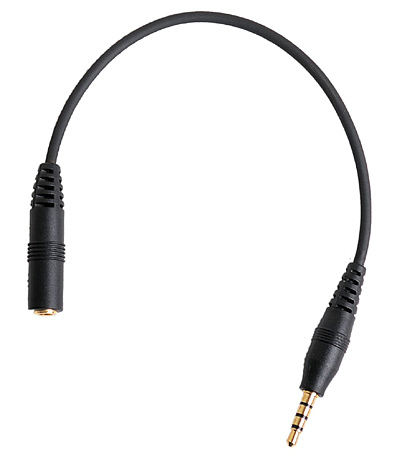 It is terminated with an SMA-F connector, so if an antenna upgrade is desired, any UHF antenna with an SMA-F connector is interchangeable. I found the 6 line multicolor display easy to read with all pertinent information displayed at one time. The LCD measures 1.2″ x 1.4″ with excellent resolution. The large power level, signal strength and battery level icons were clearly visible. 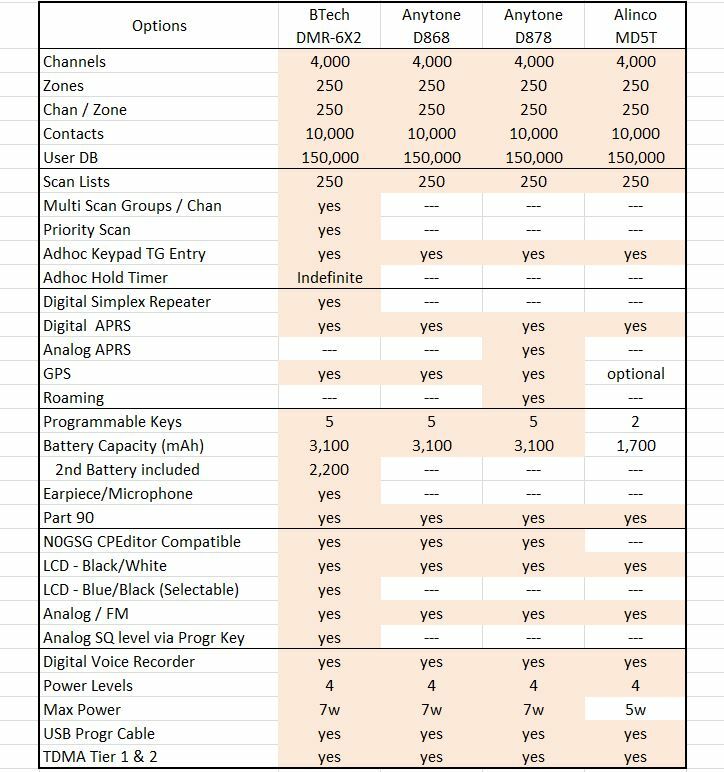 If you are entering the world of DMR for the first time, be aware that programming a digital radio is a bit different from a standard FM transceiver. Although the FM side is standard, with Freq, Offset, CTCSS, the digital side requires a bit more in depth knowledge. I would personally recommend that you find someone in your area or radio club that can assist with a basic understanding of how it all comes together. Once you understand the basics, everything will fall into place nicely. The CS-580 was introduced in November 2016, and the firmware is fully upgradable. When changes and upgrades are introduced, the firmware can be upgraded with a standard Windows based PC. You will always have availability to the latest version via the Connect Systems website. 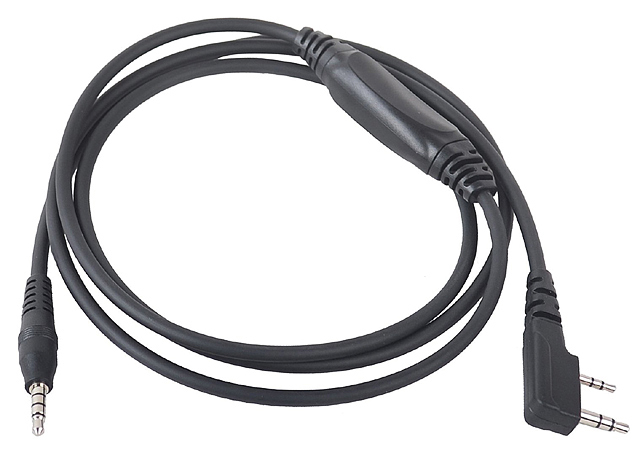 The programming cable resembles that used by Motorola style radios but a bit smaller. The business side of the cable is approximately 1″. Once placed in position and screwed down, the connection is 100% positive, eliminating the possibility of a bad connection. The programming UART chip is in the radio, not the cable, and the proper drivers load automatically making the cable virtually Plug and Play. 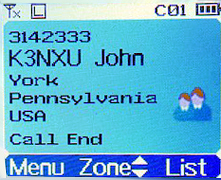 When the connector is attached to the radio and plugged into the PC, a distinct icon is displayed on the LCD showing the USB cable is connected and ready to go. I easily get a full day of use plus from the 2100mAh in the digital mode. The battery slides on securely which I’m sure contributes to the moisture proofing of the radio. The charge indicator is a definite red when plugged in and a bright green when charged. The 9V 1.0Ah wall charger takes a depleted battery to full charge over night with no problem. While the radio is in use, one of the side key options is Battery Power which very clearly displays the battery level. Al this time, the available accessories are 2100mAh Batteries, Spkr/Micr, and Programming Cables (a must have). I’ve had the opportunity to use this radio for the past few weeks and have had absolutely zero issues with it. The six line readout is clear and sharp, and every audio report has been excellent. It’s a commercial grade DMR radio designed around a Tier II platform. You may pay a few dollars more, but for $130, you definitely won’t be disappointed. Jerry has hit the nail on the head with this one.